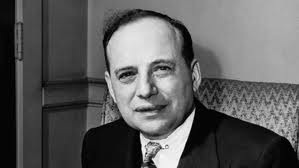 Benjamin Graham, widely known as the Father of Value Investing, was a professor and an investment manager. Known as the founding father of the profession of security analysis, Graham wrote two of the most valuable books in the area of investing: “The Intelligent Investor” and “Security Analysis”. Credited by Buffett as the key influence on his investing approach, Graham is also famous for his timeless gems of investing wisdom that have stood the test of time. 1. Most of the time common stocks are subject to irrational and excessive price fluctuations in both directions as the consequence of the ingrained tendency of most people to speculate or gamble… to give way to hope, fear and greed. 2. Wall Street people learn nothing and forget everything. 3. The individual investor should act consistently as an investor and not as a speculator. This means… that he should be able to justify every purchase he makes and each price he pays by impersonal, objective reasoning that satisfies him that he is getting more than his money’s worth for his purchase. 4. I am no longer an advocate of elaborate techniques of security analysis in order to find superior value opportunities. 5. To achieve satisfactory investment results is easier than most people realize; to achieve superior results is harder than it looks. 6. Even the intelligent investor is likely to need considerable willpower to keep from following the crowd. 7. It is absurd to think that the general public can ever make money out of market forecasts. 8. If you are shopping for common stocks, choose them the way you would buy groceries, not the way you would buy perfume. 9. Individuals who cannot master their emotions are ill-suited to profit from the investment process. 10. The underlying principles of sound investment should not alter from decade to decade, but the application of these principles must be adapted to significant changes in the financial mechanisms and climate. 11. Obvious prospects for physical growth in a business do not translate into obvious profits for investors. 12. The investor’s chief problem – and even his worst enemy – is likely to be himself. 14. Most businesses change in character and quality over the years, sometimes for the better, perhaps more often for the worse. The investor need not watch his companies’ performance like a hawk; but he should give it a good, hard look from time to time. 15. Basically, price fluctuations have only one significant meaning for the true investor. They provide him with an opportunity to buy wisely when prices fall sharply and to sell wisely when they advance a great deal. At other times he will do better if he forgets about the stock market and pays attention to his dividend returns and to the operating results of his companies. 16. The most realistic distinction between the investor and the speculator is found in their attitude toward stock-market movements. The speculator’s primary interest lies in anticipating and profiting from market fluctuations. The investor’s primary interest lies in acquiring and holding suitable securities at suitable prices. Market movements are important to him in a practical sense, because they alternately create low price levels at which he would be wise to buy and high price levels at which he certainly should refrain from buying and probably would be wise to sell. 17. It is far from certain that the typical investor should regularly hold off buying until low market levels appear, because this may involve a long wait, very likely the loss of income, and the possible missing of investment opportunities. On the whole it may be better for the investor to do his stock buying whenever he has money to put in stocks, except when the general market level is much higher than can be justified by well-established standards of value. If he wants to be shrewd he can look for the ever-present bargain opportunities in individual securities.